For those who seek the special serenity that seems to befound near moving water, this guide to waterfalls in one of America’s mostbeautiful states will be a blissful find in itself. 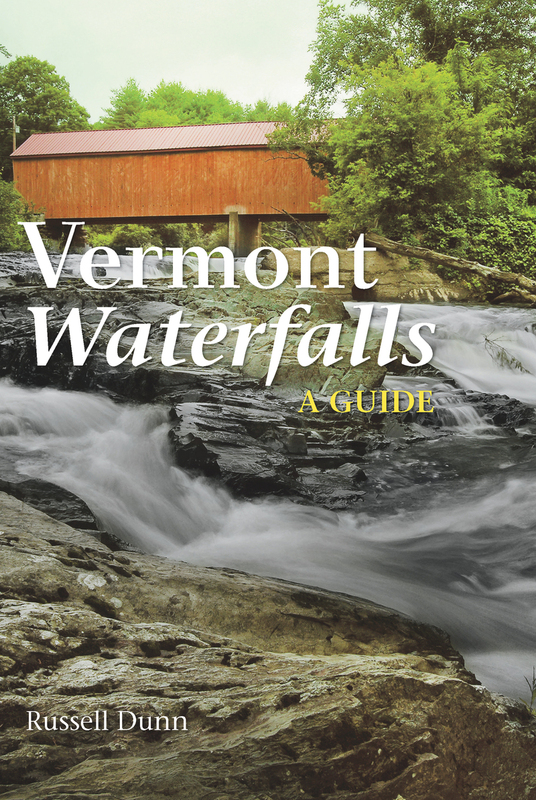 Vermont Waterfalls: A Guideis illustrated with appealing antique postcards of some of the state’s mostfamous falls as well as modern photographs of falls described here for thefirst time. Using the same successful geographic organization scheme employedin Connecticut Waterfalls: A Guide, the author makes it feasible to see severalwaterfalls in one trip. Detailed maps identify waterfalls by their proximity toVermont's major roadways: US 7 in the west; route 100 bridging the center; andUS5/I-91 to the east. With more than 200 entries that include the history ofand directions to all these cataracts and cascades, this guide is meant foreveryone—waterfall enthusiasts, photographers, hikers, artists, families . . .
Russell Dunn is a licensed hiking guide, the author of Connecticut Waterfalls: A Guide, and the author of five other waterfall guides to the nearby Adirondack, Catskill, and Hudson Valley regions as well as numerous hiking and kayaking guides. He and his wife, Barbara, live in Albany, NY.